There is no major sign indicating the property of Circus. All we saw were some black doors that were open and then looking inside, we could see that there was some sort of dining area. 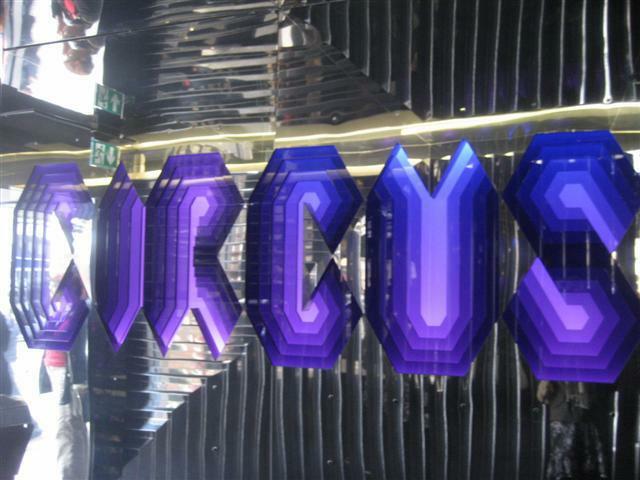 It’s only when we went inside the building, that there was the Circus sign in lights on one of the entrance walls. The decor is quite cool and quirky. There was a main long dining table with a few hoops above it, which we were told was for the circus entertainment in the evening. The other tables were to one side of the main dining table. The chairs were a mish mash of plastic and material chairs, all in black, white or translucent. On the other side of the main table, you could see the kitchen area. There was also an additional area filled with comfy seats and seemed like a good place to be able to lounge. The walls and lights were glittery and shiny. The menu had some variety but it only had one main vegetarian item. 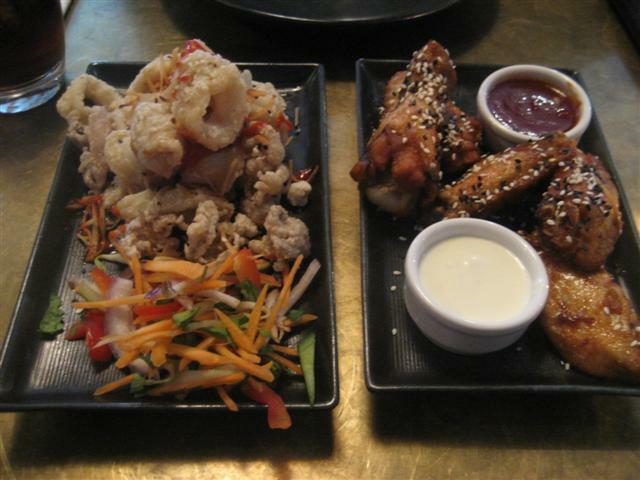 To start off the meal, we had the baby squid and the chicken wings. The crispy fried baby squid was ok; it wasn’t greasy. It was supposed to have a sticky coconut glaze but I couldn’t taste it. The tamarind and chipotle chicken wings was a good portion. I was glad that it came with a hot sauce and a blue cheese dip, as the chicken wings on their own seemed to lack flavour. The chicken wings were tender. I was hoping that the main dishes and the side orders were going to be tasty. 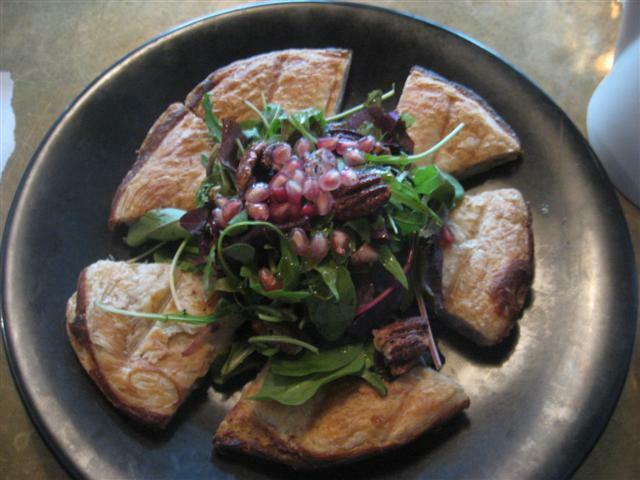 The vegetarian parcels was like a big round puff pastry pasty. It was filled with cheese, sweetcorn, black beans and other vegetables. It was very filling and it also came with a pomegranate and pecan salad. Again, it needed the coconut dip to give it that extra flavour. It was nice that it was a baked dish. The chorizo and king prawn pizette was average. It was quite dense with the toppings and also with the cheese. The pizette was enough for one person. 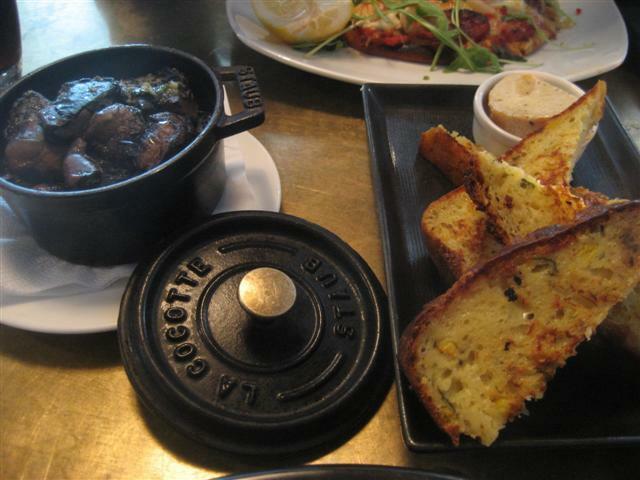 To go with the meal, we had cornbread and portobello mushrooms. The cornbread came with Cajun honey butter and it was four thick triangle slices. Unfortunately the cornbread was really very bland and only tasted better when we dipped it into the coconut dip. The portobello mushrooms were a better choice. They were presented in a little clay pot and were quite juicy. They had been flavoured with garlic butter. For drinks, there was a good range of hot and cold drinks. I had the fresh mint tea which was served by the pot. The little teacup that came with it had some quirky circus related image. The staff was friendly and gave service with a smile. 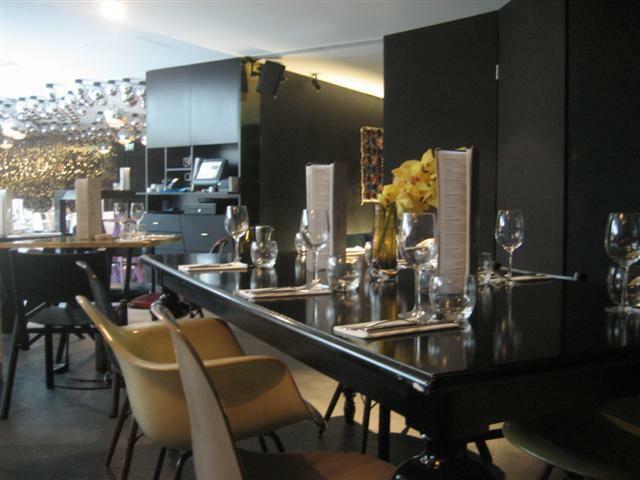 We were served quite efficiently and it was good to see that the staff were knowledgeable about the items on the menu. Circus had made the effort on the presentation of all their dishes. It is a shame that most of the food was bland and it just lacked that little something. 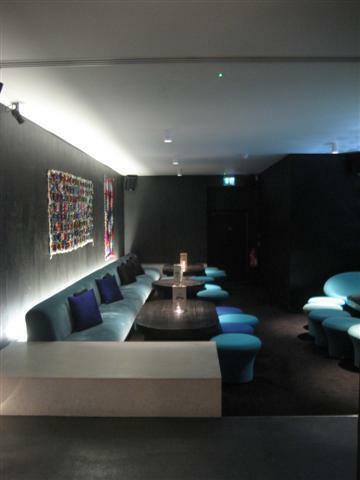 It had seemed to have got everything else right, such as the decor, the service and the ambiance.